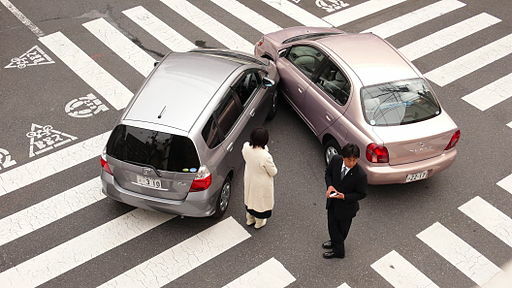 California Vehicle Code 2002 requires you 1) stop immediately at the scene of an accident. This code requires 2) that you provide your name and your current address. Remember, if you are driving a car that belongs to someone else, you legally must provide the owners name and address also. 3) If requested, you must also provide your driver license and the vehicle registration. While not required by code but ultimately will be required for you to provide is the auto insurance information of the vehicle involved in an accident. Some California drivers have believed that they only have to provide this information to a highway patrol officer or police officer and not to other citizens as they claim they have a right to privacy. California law requires this information be provided to private citizens with whom we are involved in an accident with. Failure to do so is considered a criminal action. This same code requires by law, that if a motorist strikes a parked car or causes property damage to an object and the owner of said car or property is unknown, not home etc., the motorist must ‘leave in a conspicuous place’ either on the vehicle or on the damaged property, the name and address of the person causing the damage and then notify the policy department of CHP of the incident. California drivers who fail to comply with this Vehicle Code may be convicted of a hit an run offense. In California there are two types of hit and run offenses: misdemeanor and felony. You may be charged with a misdemeanor ‘hit and run’ under Vehicle Code 20002 VC if you: 1) leave an accident scene without identifying yourself to the other party involved 2) leave the scene of the accident or the damaged property without providing notification. In California it is up to the prosecutor to determine whether a person will be charged with felony or misdemeanor hit or run. The prosecutor, when deciding what they charge will be, will likely be looking at the facts of the case as well as the prior driving record and criminal history of the person who fled the scene. A big part of the issue will be, did the collision cause property damage only or was someone injured or killed? California drivers face stiff penalties for failure to obey this Vehicle Code section. If it is determined to be a misdemeanor, a California driver may face a fine anywhere between $1,000 to $10,000 and up to one year in jail. 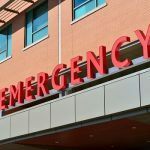 If the accident resulted in a serious injury to a person or resulted in a death, the person who fled the scene will likely have to serve at least 90 days in jail. 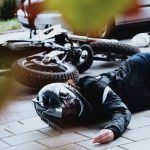 If the hit and run is prosecuted as a felony, the monetary penalty remains the same but prison time can be increased to 16 months to 3 years in prison. California drivers, including those not a fault for an accident or who were not the cause of the accident, can be charged with ‘hit and run’ if they do not exchange information. For example, if you part of a 3+ vehicle rear end accident but your car is the last car and not damaged at all but the other cars are damaged and some of the drivers sustained injuries (even minor), leaving the scene of the accident can be considered a chargeable hit and run. What if a person caused injury or death to a driver in a rural area where no cell phone reception is available and/or nearby officers respond? California drivers are required by law are required to first obtain medical assistance and/or transportation for the injured or deceased. Then they are to ‘without delay, report the accident to the nearest office of the Department of California Highway Patrol or office of a duly authorized police authority.’ If you have taken the injured person to a hospital, you can ask the staff there to contact the police department for you, and in most cases they will meet you at the hospital. What if I am a California driver and I do not have my driver license on me at the time of an accident? (Or what if I am an illegal resident of California who has not obtained US identification yet?) Such drivers are still required by California Vehicle Code 2006 to provide a ‘valid evidence of identification’ to the occupants of the vehicle with which he collided. Failure to do so can result in criminal charges. 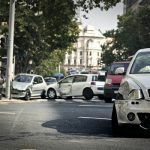 If you have been injured in an accident by a hit and run driver, you may still have rights to recovery for your injuries. I’m Ed Smith, a leading Sacramento car accident and wrongful death lawyer. We have aided many California drivers obtain a recovery for injuries inflicted on them by hit and run drivers. 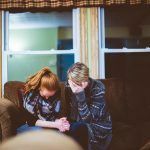 If your loved one died due to a hit and run driver, you may still be able to pursue a wrongful death claim. Please contact my office further to discuss this. We can be reached via telephone at (916) 921-6400 or (800) 404-5400. If you want to see what other have to say about their experience working with our office, I encourage you to take a look at Yelp, Avvo or Google for reviews. You can also find additional information about our personal injury and wrongful death practice and/or find additional answers to your legal questions on our website, www.AutoAccident.com.